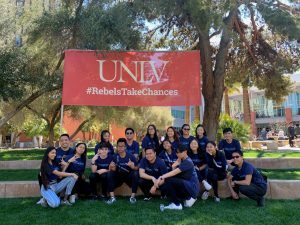 Key Club attended the Las Vegas Dance Marathon (LVDM) at the UNLV Student Union from 11:00 a.m. to 8:00 p.m. on Saturday, March 16. 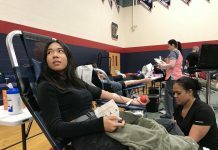 Over 1,000 students from different high schools and colleges in Nevada raised nearly $39,000. All money raised goes toward St. Rose Children’s Miracle Network (CMN). 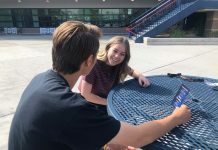 Key Club is one of CMN’s partner organizations, and it is led by students, for students. 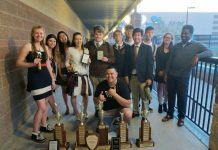 CMN gives clubs from different schools a chance to come together and raise money for the network. Well-known dance groups such as Sodality, Sugoiers, Meccame, Apostles, CorpMob and others from around the area performed. Most groups in attendance were official teams that prepared in advance while some cultural teams such as Polynesian and K-Pop groups attended. Next articleWho is your female role model?